Check out this great new offer being promoted by Copenhagen. They have a brand new instant win game called the Whole Hog Game. With this game you can get some cool freebies like: Sunglasses, Toolboxes, Speakers, Mugs and a lot more. You can play daily through 4/28/19. To get started just login to or create a free account with them using the link posted below. Must be 21 years old or older to participate. As usual, you can expect this sample to arrive within 4-8 weeks, if not longer. The sample will last as long as the supplies do. Sign in or create your account right here. Once logged in, visit the instant win page right here. 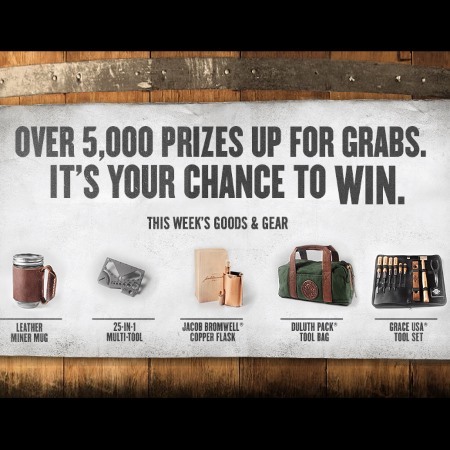 You can see the full list of prizes right here.